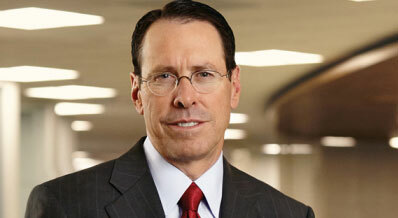 The possibility that the US Department of Justice will succeed in overturning a court decision that enabled AT&T to go ahead with its acquisition of Time Warner is “remote”, according to AT&T chief executive Randall Stephenson. Stephenson told CNBC that the DOJ’s intervention “changes nothing” in relation to the company’s plans to integrate Time Warner – now Warner Media – over the next year, and said the chance of the merger being reversed was “really remote”. The DOJ said it was appealing the ruling at the end of last week, prompting AT&T general counsel David McAfee to comment that the telco was “surprised” by the move after a court decision that “could ardly have been more thorough, fact-based, and well-reasoned”. The DOJ’s intervention does throw into doubt Comcast’s plans to acquire the majority of 21st Century Fox’s assets, for which it is engaged in a competitive battle with Disney. Comcast’s move on Fox came after Judge Richard Leon ruled that the AT&T-Time Warner merger could go ahead. The DOJ has already approved Disney’s rival bid for the Fox assets, on the condition that it divests 21st Century Fox’s 22 regional sports networks. The appeals court is expected to rule on the case within two months. If the court decision goes against AT&T, the telco could appeal to the US Supreme Court.